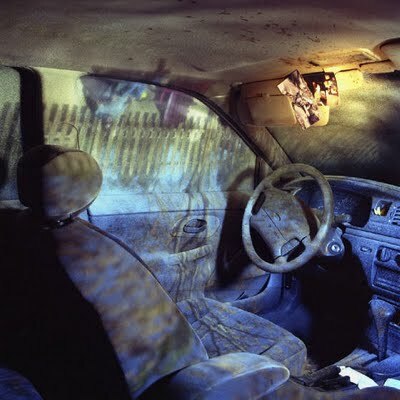 “Auto Obscura describes the mixing of the exterior and interior that occurs behind the wheel of a car. It’s a phenomenon that is solitary, isolated, and artificial, and yet also oddly real and beautiful. 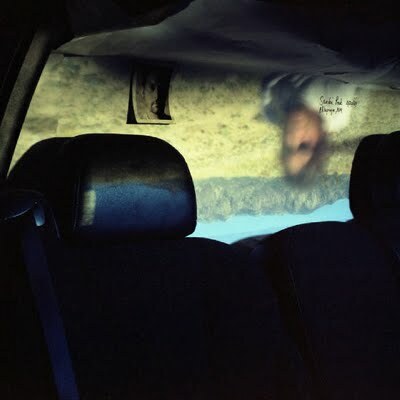 In Auto Obscura, I turn my 1995 Ford Contour into a camera obscura and photograph the urban and natural landscape within the confines of the car. 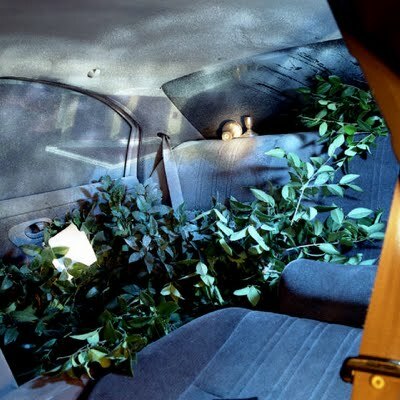 When I began Auto Obscura, I used it as a way to map out my new world in Albuquerque. 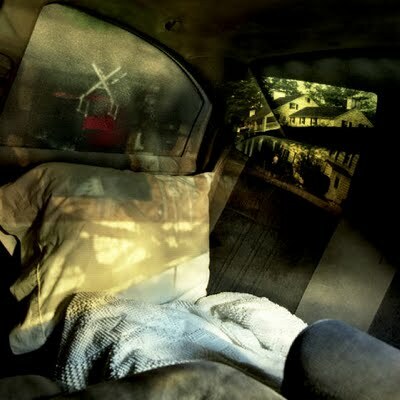 Relocating from Indianapolis, Indiana, in 2004 was a huge shift both environmentally and socially; the unique properties of the camera obscura helped ground me in my new surroundings, while also speaking to a sense of disorientation and dislocation. The entry 'Mary K Goodwin' was posted on September 24th, 2009 at 10:39 am	and is filed under alternative process, camera obscura, home, installation, place, site-specific, staged, transition. You can follow any responses to this entry through the RSS 2.0 feed. Both comments and pings are currently closed.